As if by magic, when you approach your house, lights go on. Then, once you are inside, living room sconces gradually brighten to a warm glow, and lights continue to turn on as you walk through the house. 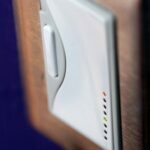 Motion-sensing switch turns on lights when it senses movement within its 180-degree field. 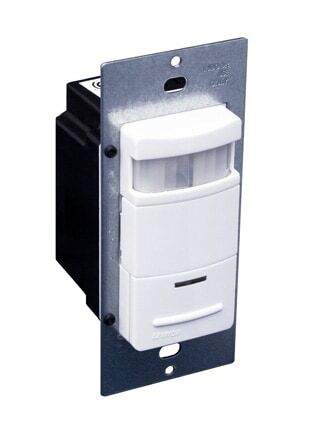 Wall-mount occupancy sensors replace a standard single-pole switch, and they don’t require special wiring. Inexpensive motion detector screws into a light socket, then receives a light bulb. Ceiling- mount motion sensors, which can control the lighting in a large room, are generally installed when a house is being built because most of them have wires that run from the ceiling sensor to a switch. Other related products are available, too. LVS makes a fluorescent light fixture with a built-in occupancy sensor that’s ideal for closets. First Alert makes a motion-sensing light adapter that can be screwed into a conventional light socket—ideal for security lighting. Infrared or ultrasonic sensors turn lights off or on automatically, depending upon whether or not they sense the presence of someone in the room. These are made by several companies—Leviton, Lutron, and Enerlites, to name a few. Infrared (PIR) switches are, by far, the most common type of motion sensors. They pick up minute changes in the infrared background of a room when a human is present. 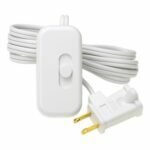 To buy these online, see Infrared Light Switches. Ultrasonic switches are activated by inaudible sound waves that sense motion. In rooms that have only a little bit of human motion—such as executive offices, living rooms, or restrooms— very sensitive automatic controls may be needed to pick up the nuances of a person moving. For these situations, you can buy switches that combine infrared and ultrasonic technologies. Click here to buy ultrasonic light switches online. 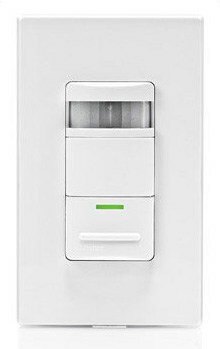 Manual-on occupancy sensor shuts off lights after a preset period upon leaving a room. 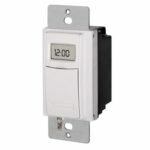 This one is compatible with fluorescent and incandescent lights and can be used as a 3-way switch. It’s important to buy occupancy or motion-sensing switches that are right for your lights or fixtures. 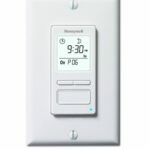 All switches are rated according to the wattage they can control—add up the wattage of the light bulbs and fixtures a switch will control and then select a model that is rated accordingly. Also be aware that switches are made to turn on lights from one place (a single-pole switch), two places such as both ends of a hallway (three-way switches), or three places (four-way switches). Most occupancy switches are single-pole. Be sure to choose switches rated as three-way or four-way if you will be controlling lights from more than one place. With a “manual-on” switch, you turn on the lights when entering a room and then, when you leave the area, the switch shuts off the lights after a preset period. The one shown at left senses movement in a 900-square-foot area; it’s just right for utility rooms, basements, closets, garages, and similar rooms. If you’ll be controlling fluorescent lights, compact fluorescent bulbs, or low-voltage lights, you’ll need a occupancy switches that can handle these types. Some timers will work for lights but not for motors, such as bathroom fans; others are rated to work for both. You can buy motion-detecting switches online, at major home improvement centers, or from lighting retailers. They are priced from about $15 to $65, depending upon the sophistication of the devices. Most quality switches are less than $25. 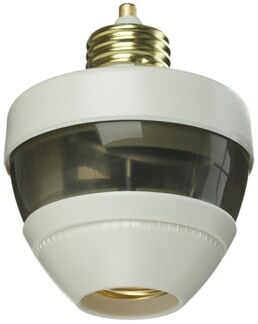 High-end models, which have two infrared (PIR) sensors to respond to both movement and ambient light cost upwards of $40. 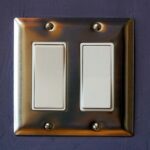 For information on wiring switches, see How to Install a Light Switch. Or, if this job is beyond your skill level, get a pre-screened local electrical pro.